Kate and Geoff Mercer are planning a party for their 45th wedding anniversary. In the post, Geoff receives a letter: his first love’s body has been found, frozen in a glacier in the Swiss Alps where he lost her over fifty years ago. As the days count down until the party, Kate and Geoff pick ceaselessly at this long ignored scab in their relationship. 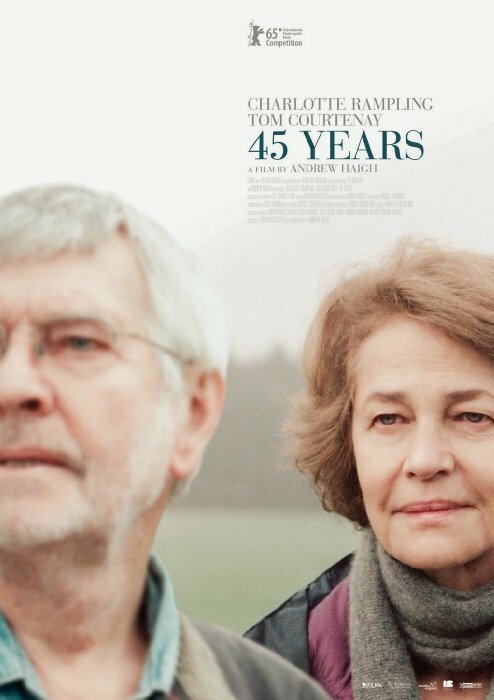 45 Years is a quiet, unassuming film, adapted to the screen by Andrew Haigh from a David Constantine short story. It’s a piece that relies on subtlety and detail. 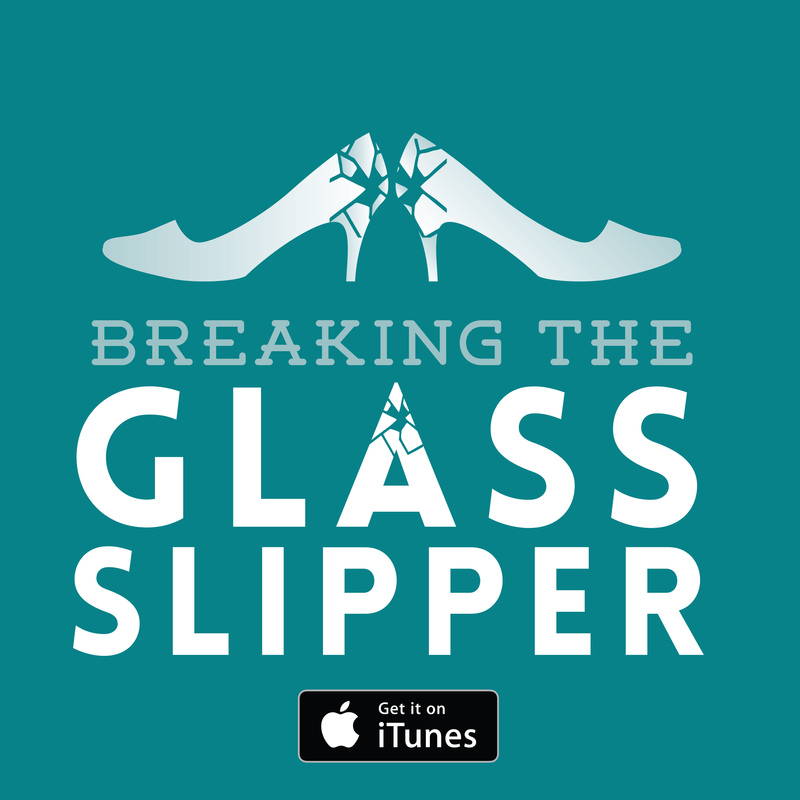 The thumping critical praise the film has earned may mislead you to think it is some sort of emotional rollercoaster that will carve out your soul. It is not. The film quietly builds and leaves one with feelings of poignant doubt, regret and reflection. Though other figures pop up and there’s a long-haired Alsatian bobbing around the house, the film is pretty much a two-man show. 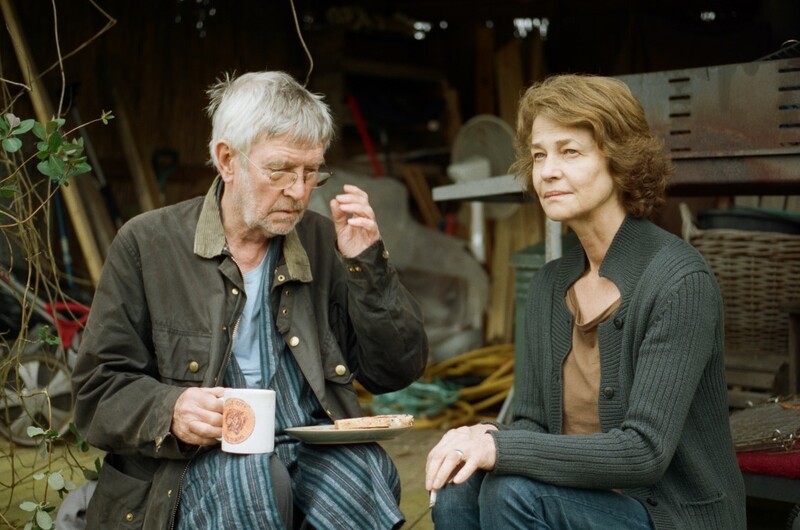 Charlotte Rampling and Tom Courtney are sure to be basking in the well-earned anticipation of honours from BAFTA and various other film institutions, besides the stash of festival awards they have already accrued. There’s nothing too showy, no scene chewing. Both offer deeply natural performances. There’s a keen sense of voyeurism with both actors not playing to camera and making one feel as though you are spying on these people’s intimate and domestic trauma. Their acting, like so many parts of the film, hinges on little details. The slight degree of swagger in Geoff when he has had a bit too much to drink. Kate’s gait and posture as she increasingly tries to contain more pent up bitterness. Of course, the hardest thing to achieve is also the most consummately accomplished: having only met the couple for a few minutes, Geoff and Kate seem to be a couple with a past, already well-tuned to each other’s routines. The granularity of detail is astounding. The house that serves as the main setting feels lived in from the off, with the immaculately coordinated clutter and detritus of living spilling out of corners or shelves here and there, interrupting the orderly housekeeping. Haigh manages this space incredibly well, with the hues of the same room often casting radically different auras with the of day, offering up the tonal variety that such a small piece and small setting might struggle to produce. The environment in 45 Years overall is astounding. The country house is surrounding by autumnal lanes, and buffeted by winds. The fields sometimes play host to mists, the overcast sky emanates a chill that pervades the film. It really is a gorgeously evoked setting that makes you want to reach for a blanket as the brown leaves rattle once more in the film. The camera work, lighting and sound all coalesce to deliver the overarching pathetic fallacy, that this bright and vibrant landscape is now submitting to the withering influence of autumn and further on the beckoning cold of winter. I can’t say too much on the point of development for I fear I would ruin the film. This may be a small, quiet, independent, emotional drama but it does have clearly defined narrative stakes: the couple’s marriage. It would be a gross indecency to spoil in any way the final trajectory of Kate and Geoff’s long week of the soul. It’s not a towering blockbuster or a fierce and raw pitched battle between two luvvies baiting for awards. 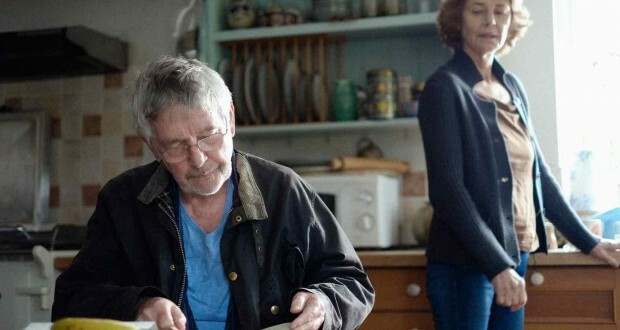 Haigh works with Rampling and Courtney to create a melancholic and reflective drama that sees a couple excavating the shaky foundations upon which nearly half a century has been built. 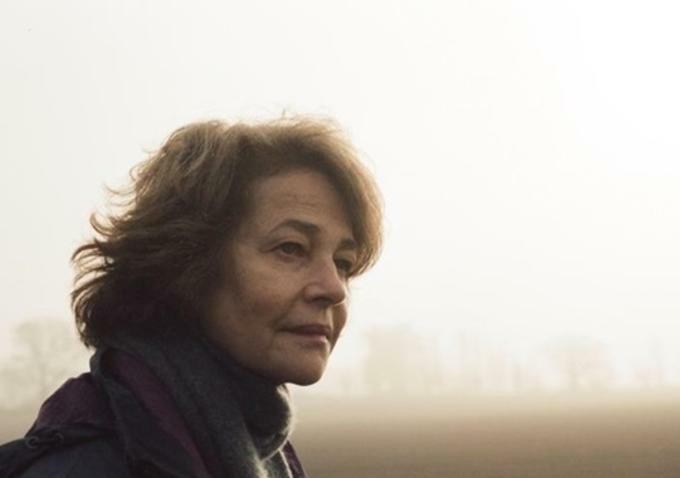 Verdict: 45 Years is a moving and sorrowful. A quintessentially British autumnal film.